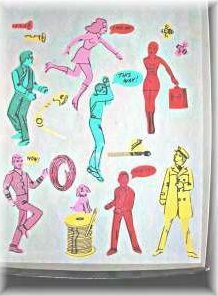 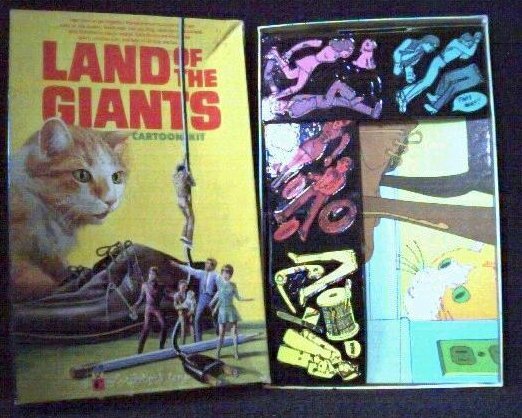 Issued by the Colorform Toy Company in in 1968. 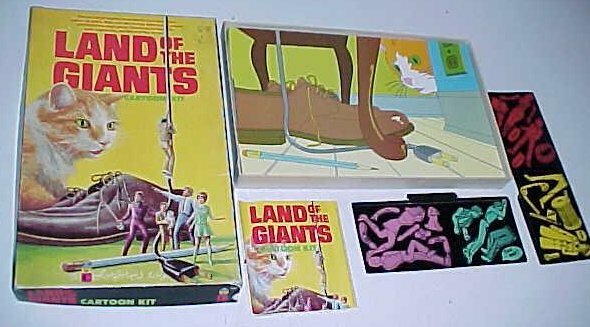 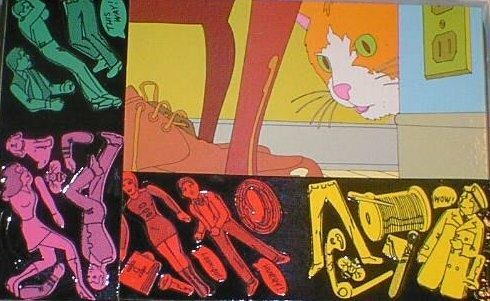 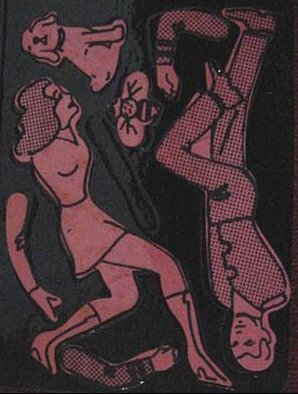 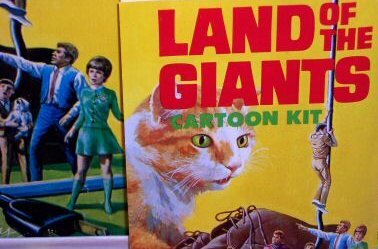 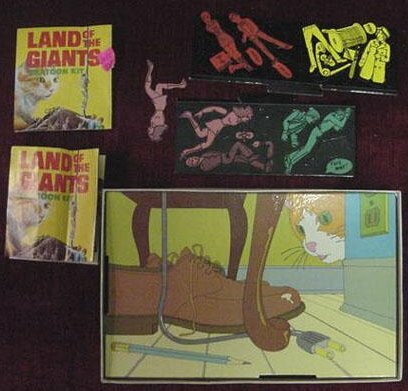 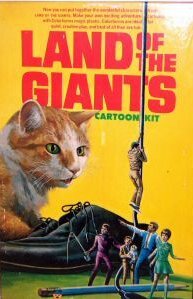 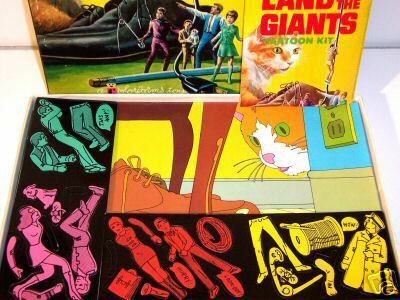 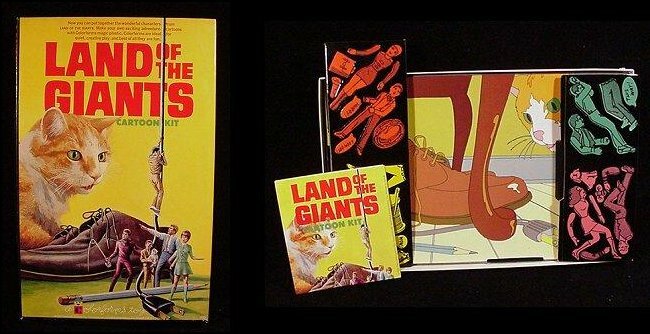 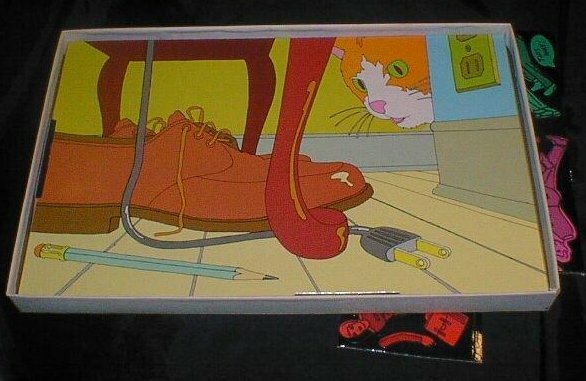 This cartoon colorform kit consisted of a 8x11 board and plastic "Land of the Giants" character figures. 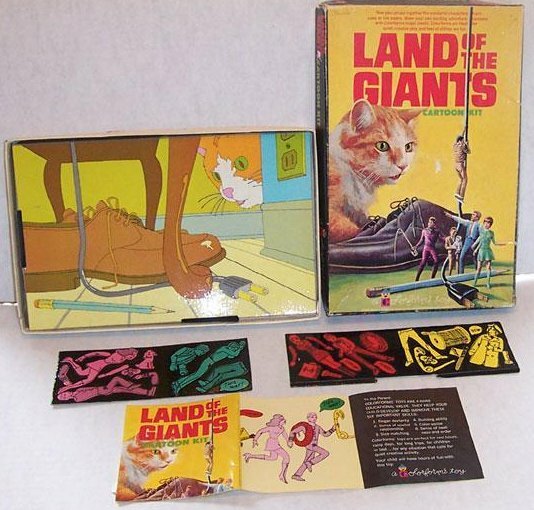 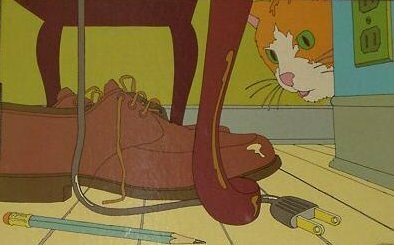 Great box art of our little people stars, while being watched by that innocent looking giant cat.